An Exhibition Commiteee was set up and first met on 23rd January 1882 with the aim of holding an exhibition in Worcestershire along the lines of the Great Exhibition of 1851. 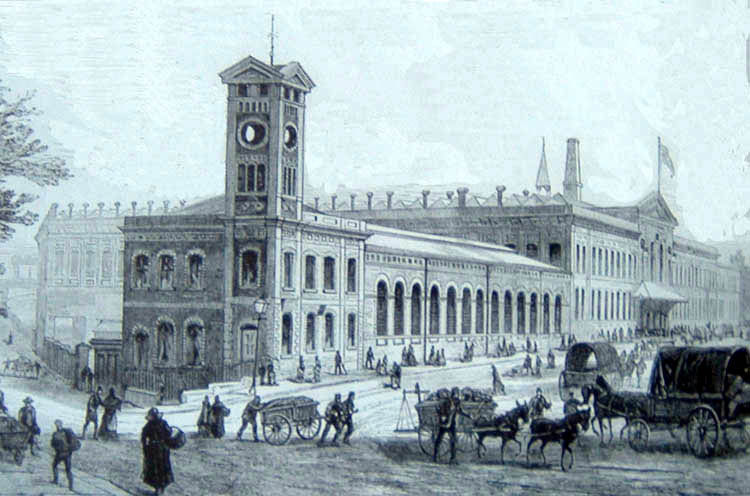 The Committee decided that the best location would be the vacant Worcester Engine Works at Shrub Hill. 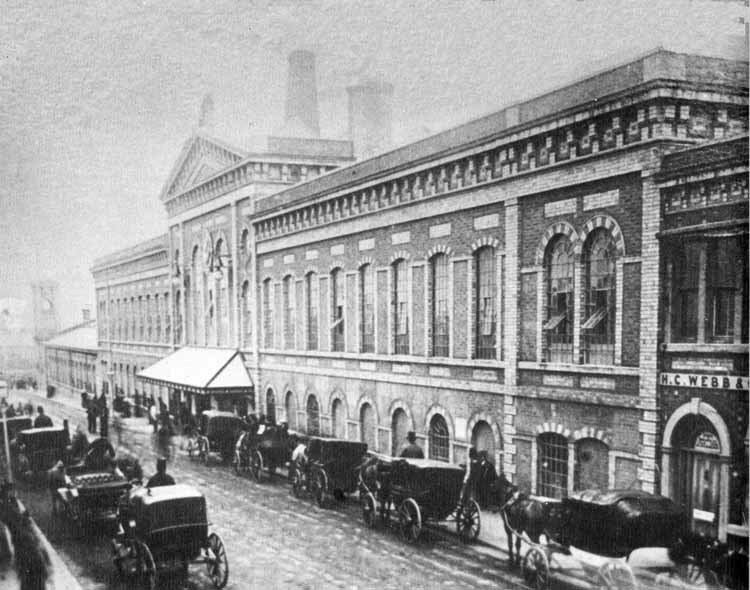 This required an agreement with the Court of Chancery as the builing was still owned by the defunct West Central Wagon Co Ltd. This photograph (from the collection of Andrew Smith) shows a large number of carriages on Shrub Hill Road and is believed to have been taken on the day that the exhibition was opened on 18th July 1882. The exhibition closed on 18th October 1882. This photograph was taken by Andrew Smith on 24th December 2003 and shows how little the building has changed since it was built. This is an engraving of the exhibition (collection of Andrew Smith). Tolladine Road is on the left hand side. It is worth noting that there is no sign of the siding that went across Tolladine Road into Gas Works, although the course of the siding can be traced through the hole in the left most building and the gap in the wall. There were sections for exhibits of fine arts (over 600 paintings), historical manuscripts and industrial items. Some of the exhibits arrived by rail. Mckenzie & Holland with models of a full size signalman's cabin, a small railway station, a double line railway junction and Wilson's patent piston rings. W. Clemens Abell & Co exhibited two pairs of 8 ton railway wagon wheels and other similar items. The Droitwich Salt Co Ltd exhibited - specimens of salt and details of how it is manufactured. John Corbett of the Stoke Prior Salt Works showed specimens of salt and details of salt making processes. Hingley & Sons of Netherton Ironworks, Dudley displayed the anchor for RMS Aurania. Mr Hackworth of Hocker Hill exhibited a model of the locomotive 'Royal George' ( uilt by Timothy Hackworth in 1827). The model was made in 1827. The committee's last meeting was 27th January 1883. The accounts reveal that the rental of the building was £31.0s.0d. The profit was £1,867.9s.6d. The number of visitors is recorded as 222,807. 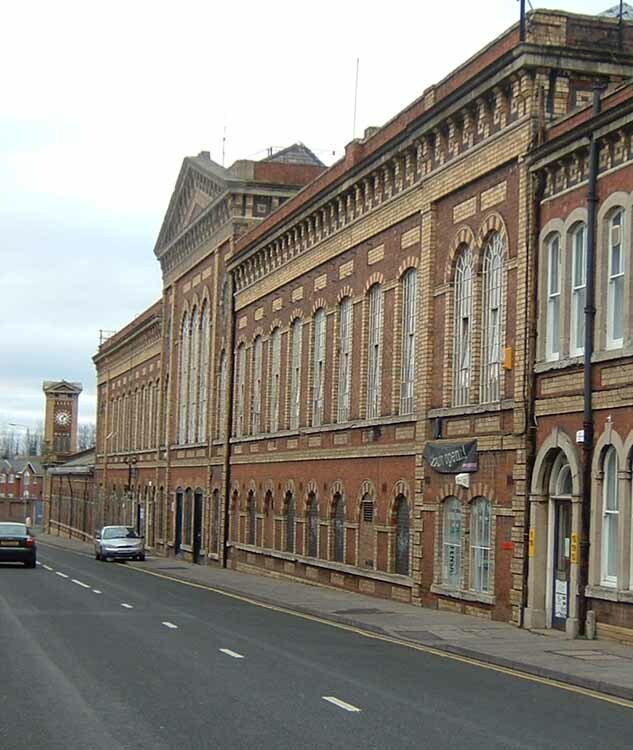 Some of the profit from the exhibition was used to build the Victoria Institute in Foregate Street, Worcester. This was opened on 1st October 1896 and now houses the library and museum. Further information about the exhibition can be found at the museum. Worcestershire Exhibition, 1882 - Report of the various sections, W.E. Tucker & Co, 1882. Worcestershire Exhibition 1882 - Official Catalogue (revised edition), W.E. Tucker & Co, 1882.